Staggering in its ambition, China’s globe-spanning Belt and Road Initiative (BRI) aims to spend trillions of dollars on infrastructure financing in Asia, Europe, and Africa over the coming years ahead. Even before BRI, the rising superpower was a leading lender worldwide. International studies have shown there are already a number of states that are increasingly at risk of debt peonage to China (i.e. countries with large outstanding debts held by Beijing, and whose economies are unlikely to grow at a sustainable enough clip to meet their future debt payments on schedule. 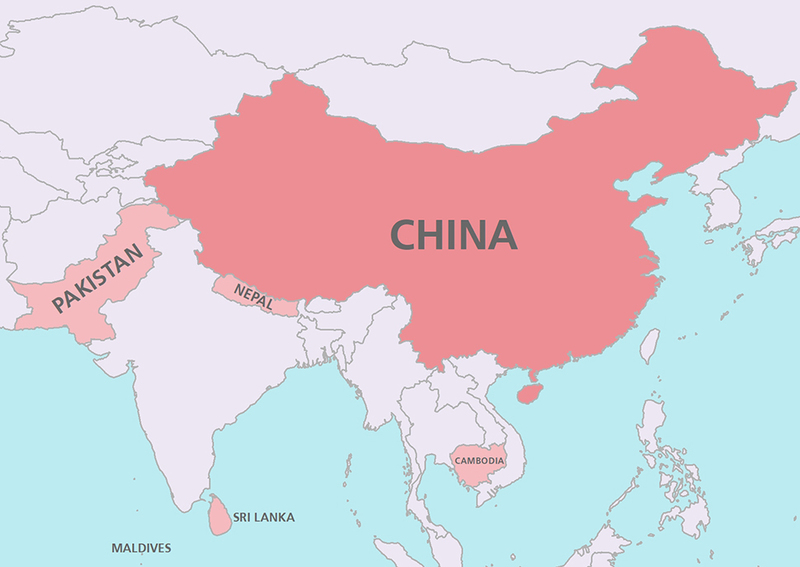 These countries include Djibouti, Kyrgyzstan, Laos, the Maldives, Mongolia, Montenegro, Pakistan, and Tajikistan. Then there are other countries such as Nepal or Cambodia, who could easily join this group in the near future due to their growing need for outside finance. 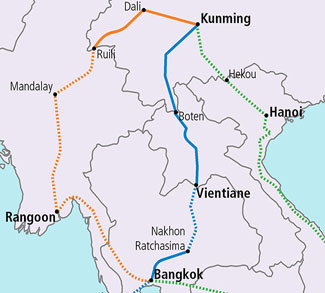 This report will cover four countries in particular where China’s geopolitical ambitions are converging with the BRI and other state-backed lending schemes aimed at expanding Beijing’s commercial, and by extension geopolitical, outreach. In all four cases, China’s interest goes beyond simple trading due to the geopolitical factors that make these countries strategic nodes for Beijing to expand its influence. In some cases, Chinese investment has intensified domestic and international tensions, particularly with India.